Through his company Gadarian Digital, David Gadarian works with businesses to help realize more value from their online marketing and communications effort with a results-driven approach. 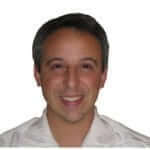 David has applied his skills across a wide array of businesses all with very unique practice areas and his company is a listed Nimble Solutions Provider. David’s just-released first book, Better Business Blogging, empowers businesses to produce a business blogging framework focused on a mix of best practices and the development of their own path.